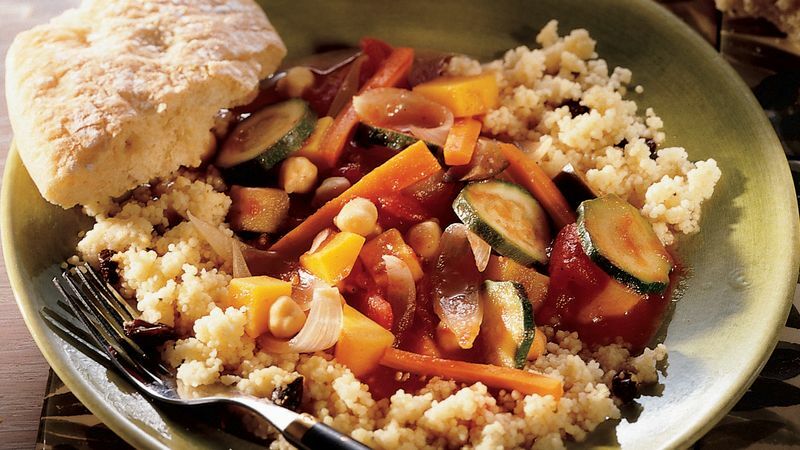 In 3 1/2- to 4-quart slow cooker, combine all ingredients except couscous and raisins; mix well. Cover; cook on low setting for 7 to 9 hours or until vegetables are tender. Before serving, cook couscous as directed on package; stir in raisins. To serve, spoon 1 cup couscous into each individual soup plate. Spoon stew over couscous.